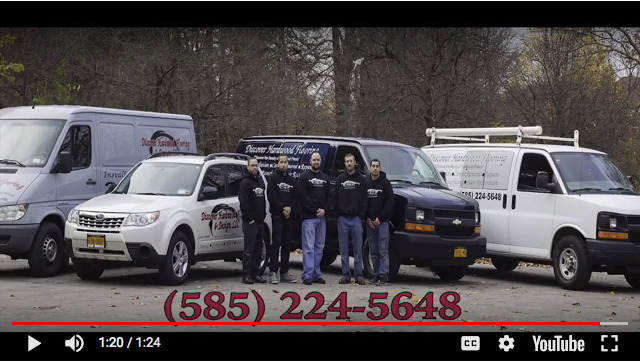 Over the last decade, Discover Hardwood Flooring and Design has become Rochester’s choice in hardwood floor contracting services. With the addition of a retail showroom, we also offer quality hardwood flooring sales at competitive pricing. We are a local, owner operated business, providing personalized sales and services to our customers. As a small company we take pride in what we do, and look to build long-term relationships through referral and repeat business. We are currently accredited by the Better Business Bureau, the Better Contractors Bureau, and hold an active membership with the National Wood Flooring Association. We are always glad to provide a reference list of past customers, and willing to go the extra mile to earn your trust and business. Visit our reviews page—both on our site as well as on Google—to read what some of our customers have to say. When dealing with our company you will never deal with pushy sales people, or sub-contractors. You will always deal directly with the owner, having your projects completed by our skilled tradesmen. We provide insured contracting services, carrying General Liability as well as Workers Compensation.